The considerable figure of 21 million casualties for the war as a whole reflects the firepower deployed by both sides, with soldiers falling victim to the large-scale use of artillery and the appearance of new weapons: aircraft, poison gas and tanks. 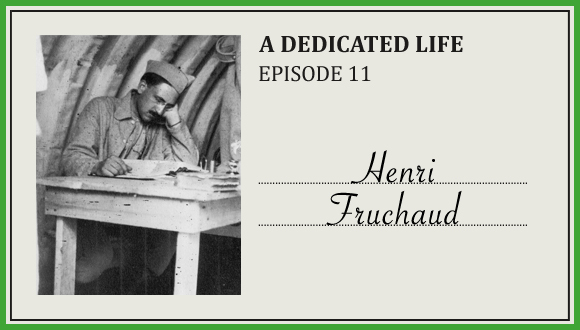 Casualties were often evacuated by medical students like Henri Fruchaud, who was called to the class of 1914. As a stretcher bearer then an auxiliary doctor, he was present on the battlefields of the Marne, Ypres, Artois, Champagne and the Somme, where he took every risk to complete his mission under fire. His courage in this high-risk role earned him the Legion of Honour and Médaille Militaire decorations, and 4 citations. Mobilised as a doctor in 1939, he heard the appeal of 18 June 1940 and went to London. As the Director of the Free French Forces’ Health Service, he took part in all the campaigns in Africa and then Italy until March 1944, before being called to Syria, where he remained after the war.